Graduated from University of Tsukuba. Started a business of Entrepreneurial companies that managed Internet media in college. After that, engaged in fixed income and derivatives sales for institutional investors at Daiwa Securities (formerly Daiwa Securities SMBC) since 2007, he joined the Masterpiece group in 2010. From 2011, he relocated to Beijing, engaged in the BPO business expansion of the Chinese market consistently as vice president of 95teleweb. He founded the company in 2016, and became the representative. Graduated from University of London. Worked at State Street Bank & Trust and Bloomberg in Hong Kong. Began investment advisory in Japan since 2007. Global investment consulting, as well as an asset management. Participated from our establishment in 2016. Graduated from Reitaku University major in International business operation research (master degree). After graduation, he began his career in Masterpiece Group, Inc., and contributed in establishing the first overseas offshore outsourcing call center for Japanese company. He engaged in expansion of outsourcing business in the long term, which gives him abundant experience. 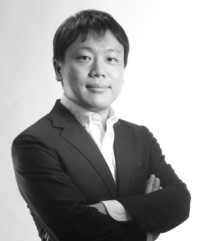 In 2007 he acted as the CEO of MPG China center and continued until today. Graduated from Brigham Young University with degrees in Computer Science and Asian Studies. He joined Oracle Corporation in 1986 and was dispatched to Japan, where he founded and helped lead Oracle Japan to a successful IPO on the Japan stock market. He created SunBridge Corporation in 1999. He currently serves on the Boards of several SunBridge portfolio companies and as an advisor to government-affiliated organizations focused on innovation and entrepreneurship. Graduated from Cornell University in 2003. Experience in investment banking in Morgan Stanley, HSBC and Goldman Sachs in Tokyo. In 2012 he established Ikeya Capital providing investment services and consulting in Myanmar. Fluent in English, Japanese and Burmese.